"Nothing new, but not as bad as expected"
Who would have guessed that the first drawings of the little blue men by Belgian cartoonist Pierre Culliford (Peyo) in 1958 would become a worldwide phenomenon? From a cartoon strip to toys to a series of feature-length films, The Smurfs have touched the lives of multiple generations. Their existence may be considered a blessing or a curse to many, but the reality is that the little blue dudes are here to stay. One element that confounds many about these blue creatures is that they are all male, except the one female, Smurfette. Which begs the question, how did there get to be so many Smurfs? Without polluting the minds of the innocent, Smurfs: The Lost Village may provide the answer to this perplexing consideration. This next chapter of the mini-humans has Smurfette (Demi Lovato) pondering her purpose within the mushroom housed-community. In an attempt to define her role, she ventures outside the walls of their hidden village and is joined by Hefty (Joe Manganiello), Brainy (Danny Pudi) and Clumsy (Jack McBrayer) Smurf. While in the outside world, they attempt to evade the evil wizard, Gargamel (Rainn Wilson) which puts them in contact with another small creature that seems similar to the Smurfs. Seeing this as a sign for Smurfette to gain personal enlightenment into her purpose, the blue band of adventurers tries to find the lost village. They must stay ahead of Gargamel, who was made aware of this small community within the forbidden forest. Their journey proves to be challenging and is filled with hijinks and danger, but in the process they manage to find the lost village and the answers to Smurfette's questions and a better understanding of their past. After nearly 60 years, does this new installment of the legendary blue fellows offer something new and different? The simple answer is no, but it does offer some relief for parents of young children who are looking for a safe and harmless option for the family. The storyline is targeted for the toddlers to five-year-old market and thankfully this sequel does not involve any live-action actors. The team at Sony Animation seemed to have grasped that this audience is void of viewing options. The studio has gone on to provide a series of misadventures that will entertain these small children, deliver some life lessons and even provide a few laughs along the way. The quality of animation lifts this production above the standard television cartoon, but the writing could have been taken straight from the cartoon network. 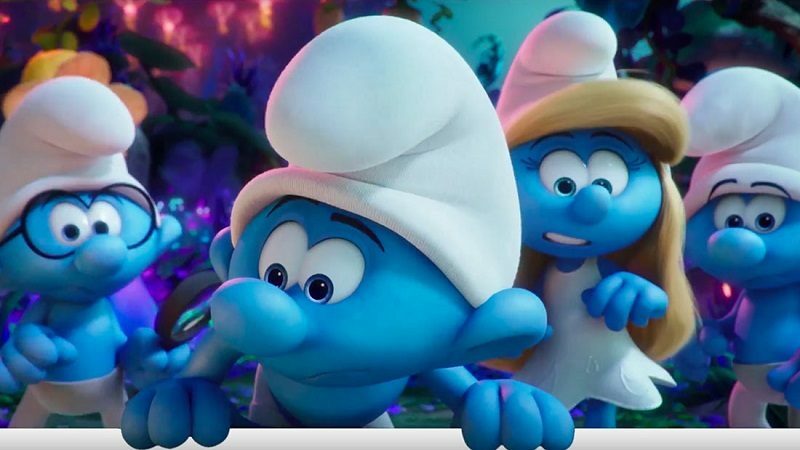 There is nothing ground-breaking about the film, but fans of the Smurfs should not expect award-winning cinema, but a safe place to bring their young tots for a bit of harmless entertainment. What should parents know about The Smurfs: The Lost Village? Interestingly, Smurfs: The Lost Village provides multiple opportunities for parents to engage with their children on life's bigger questions. After settling into the theater seats, instead of taking a nap, it would be worth parents taking note of some of the questions being discussed on the screen. Smurfette is seeking out her purpose in her life, which means that she is different than others, but that is something to be celebrated. Along the way, the Smurfs have to confront issues such as personal identity, sacrifice and the value of being part of a community. The story may sound similar to most animated outings, but the tale provides some great life lessons for parents to engage with their children.